Mario Mola is the current Triathlon World Champion, having won the title in 2016 and been consecutively on the podium of the World Championship in the last five years. Mario grew up, studied and trained in Mallorca until he was 17 years old when he moved to Barcelona to start his studies in Road Engineering. However, due to his obligations as a professional athlete, he graduated in Business Administration and Management in 2015. He currently works in finance. His family always instilled in him the habit of sport, but he only got to know triathlon in the 12th grade, when his physical education teacher introduced him to a triathlon coach. 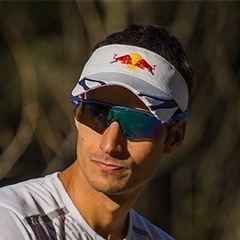 He believes that triathlon gives him freedom and, among many victories, in 2017 João Pereira made history by winning two European titles within a week.